Beautiful Special Occassion dress by Rare Editions! 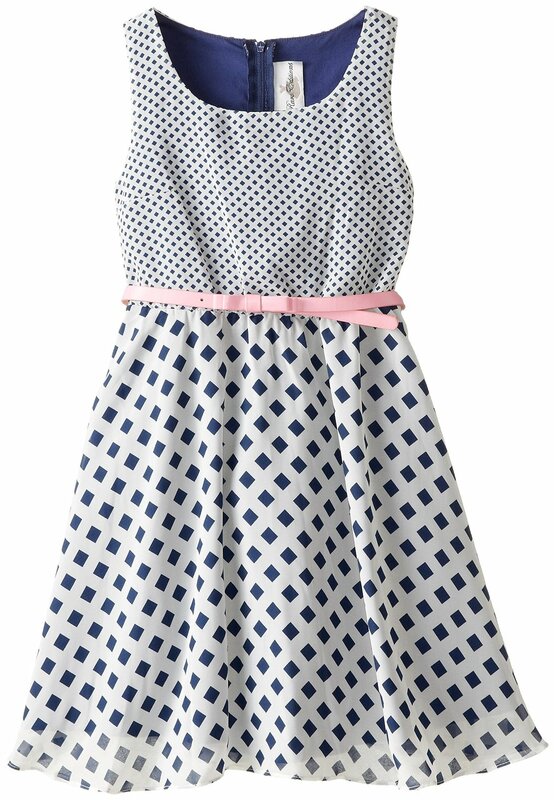 Dress features small squares on the bodice, large squares on the skirt and accented with a pink belt. Perfect for any occasion!